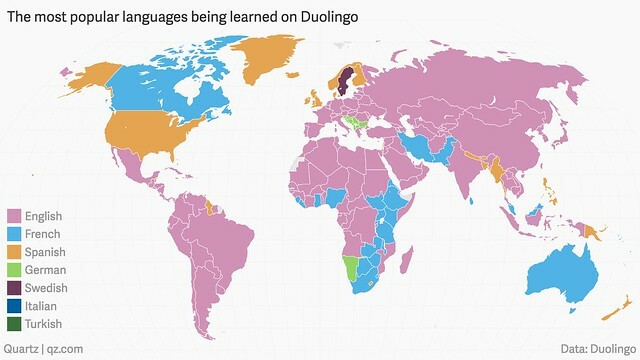 If you own a smartphone and are trying to learn a language, you probably have Duolingo. At this very moment the app—which tries to turn language learning into a rewarding game—may be not-so-subtly suggesting that you are overdue for some Spanish vocabulary practice. How many other people are learning Spanish, and where do they live? As we prepare to conjugate, we might send elegantly phrased and eclectic birthday greetings to Persian polymath Omar Khayyam; the philosopher, mathematician, astronomer, epigrammatist, and poet was born on this date in 1048. While he’s probably best known to English-speakers as a poet, via Edward FitzGerald’s famous translation of the quatrains that comprise the Rubaiyat of Omar Khayyam, Omar was one of the major mathematicians and astronomers of the medieval period. 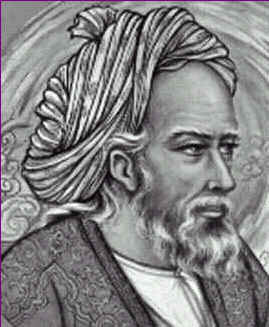 He is the author of one of the most important treatises on algebra written before modern times, the Treatise on Demonstration of Problems of Algebra, which includes a geometric method for solving cubic equations by intersecting a hyperbola with a circle. His astronomical observations contributed to the reform of the Persian calendar. And he made important contributions to mechanics, geography, mineralogy, music, climatology and Islamic theology.